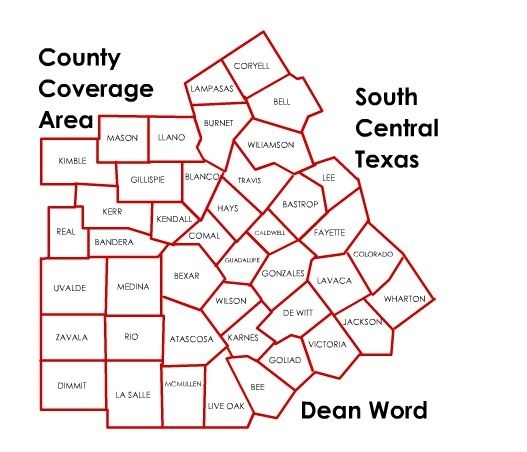 If you are looking for a reputable heavy highway contractor to partner with, look no further than Dean Word Company in New Braunfels, TX. Our company started in 1890 moving dirt with mule teams for road and levee construction in Louisiana. Twenty years later, we added bridge and culvert construction capabilities. More than 120 years have since passed and our company now produces crushed aggregates and high-quality hot mix asphalt materials. We have extensive QC/QA capabilities (including mobile labs) to ensure compliance with the latest specifications for high-performance flexible pavements, such as Superpave, Stone Matrix Asphalt (SMA), and Porous Friction Courses. Today, our company remains the preferred full-service heavy highway contractor of many. We maintain a sizeable backlog of TxDOT highway construction and maintenance projects plus related civil construction projects for various other public agencies and private clients. As your reliable heavy highway contractor, we promise to provide you with cost-effective road construction services that meet your specific needs and requirements. Our highway and roadway construction company is known for creating high-quality outputs. Be confident that with us, your projects are in safe, qualified hands. To learn more about how we can be of assistance to you, we are a phone call and a message away.